Want to have a prominent role in the ‘Luminosity Beach Festival’ movie? We give you the opportunity to share YOUR festival experience with the rest of the world. Like last year there will be a Luminosity Beach Festival after movie. This year you can have a prominent role in the movie together with your friends. If 3 days of partying isn’t enough for you, we have another after party planned on Sunday night from 00:00 – 05:00 o’clock. Two days of trance celebration on the beach not enough for you? As some already may know, for those we decide to do an after party! 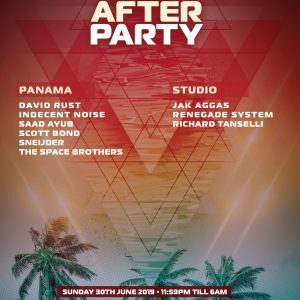 The after party has been confirmed for Sunday night at Club Exposure in Zandvoort! Luminosity Beach Festival 2012 – Line-Up revealed! Imagine relaxing on the beach, listening to the waves, curling your toes into the sand, and sharing priceless moments with a few thousand kindred trance souls as you stare off into the dream-like sunset. That, to us, is paradise. Stop dreaming and get yourself a ticket to Zandvoort! On Friday the 30th of March (Before ASOT 550) Luminosity will start another promising year with an event in venue ARE48 (North Sea Venue), just 10 minute from Amsterdam. After a sold-out Beach Festival at Beachclub Riche it’s time to make the next step! With the winter still in front the summer feels a long time away. Still, the first 150 early bird tickets are sold out. 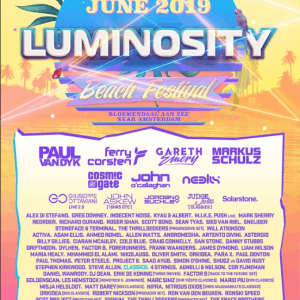 Luminosity Events have just announced that Luminosity Beach Festival its 5th edition will be on Saturday 30th of June and Sunday 1st of July at Beachclub Riche, Zandvoort. With this date Luminosity Events chose once again, the traditional first weekend of July.